The Connecticut Orthopaedic Institute at MidState Medical Center was recently awarded The Joint Commission’s Gold Seal of Approval® for Advanced Certification for Total Hip and Total Knee Replacement. The advanced certification is awarded to hospitals based on the consistency and safety of their services and patient care. Fewer than 100 hospitals across the country have received this recognition. The Institute is a national leader among orthopaedic hospitals, performing nearly 2,000 total joint replacements a year. The extensive education programs and technology provided for all patients before and during their surgical stay elevate the Institute’s patient experience scores to the highest levels nationally. Every patient is cared for by a team of experts who specialize in orthopaedics. The Institute was evaluated for its compliance across rigorous care standards, including total hip and total knee replacement requirements, orthopedic consultation, as well as pre-operative, intra-operative and post-surgical orthopedic follow-up care. Video: What is a total knee replacement? The advanced certification, awarded for a two-year period, was developed in response to the growing number of patients undergoing total hip or total knee replacement surgery, as well as the increased focus on clinical care for pain management, quality-of-life issues, functional limitation in mobility, and the return to normal daily activities. 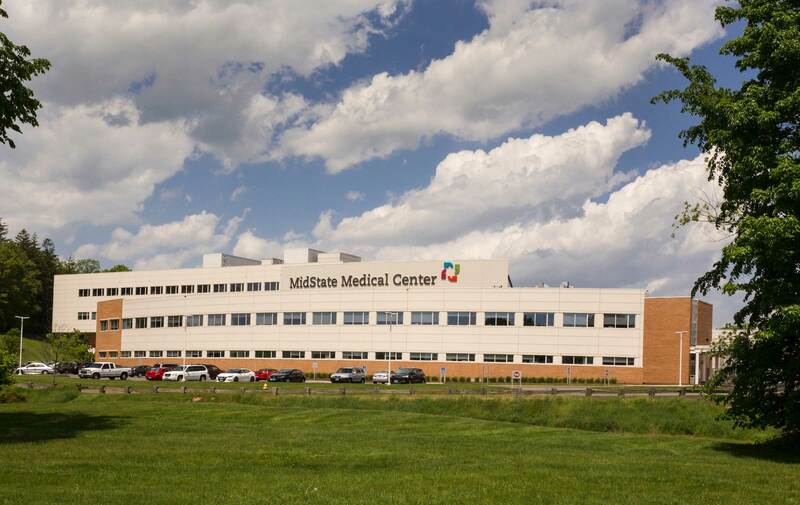 Learn more about the Connecticut Orthopaedic Institute at MidState Medical Center here.